Fern Hollow Springs is located in the Juniper Prairie Wilderness a short distance from Juniper Spring. It is a protected spring and there is no swimming or fishing allowed. The light blue areas in the photo are sand boils where fresh water bubbles to the surface. This is an absolutely beautiful place and the raised boardwalk path between Juniper and Fern Hollow Springs is simply awesome. 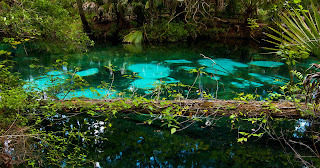 Swimming in Juniper Spring is a shocking experience as the water is in the 70's. 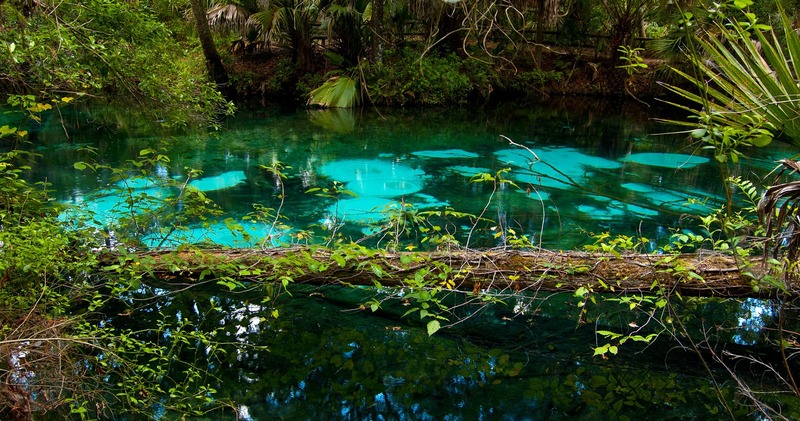 I lived in Ocala when I was a young child and remember swimming here. My father was in the CCC in the 1930's and worked at Juniper Springs building the stone swimming pool, the waterwheel and other projects.